Researchers have been actively exploring Augmented Reality (AR) for over 45 years, first in the lab and later in the streets. What can AR make possible by interactively overlaying virtual media on our experience of the physical world? I will try to answer this question by sharing some of my thoughts about where AR is now, and where it might be headed in the future. I will illustrate the talk with examples, ranging from assisting users in performing crucial physical tasks, such as equipment maintenance and repair, to creating hybrid user interfaces that combine tracked see-through head-worn displays with tabletop and handheld displays to visualize urban information. Steven Feiner is Professor of Computer Science at Columbia University, where he directs the Computer Graphics and User Interfaces Lab, and co-directs the Columbia Vision and Graphics Center. His lab has been doing AR research for over 20 years, designing and evaluating interaction and visualization techniques, creating the first outdoor mobile AR system using a see-through head-worn display, and pioneering experimental applications of AR to fields such as tourism, journalism, maintenance, and construction. 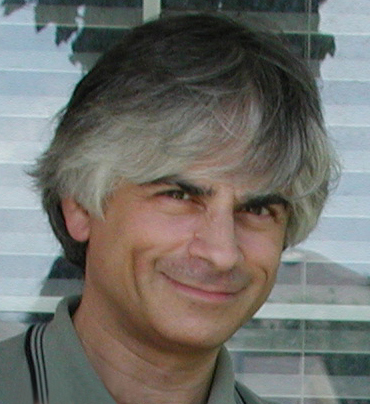 Steve is coauthor of Computer Graphics: Principles and Practice, received the IEEE VGTC 2014 Virtual Reality Career Award, and was elected to the CHI Academy. Together with his students, he has won the ACM UIST Lasting Impact Award and best paper awards at ACM UIST, ACM CHI, ACM VRST, and IEEE ISMAR. Steve is lead advisor to Meta, which is developing 3D AR eyewear.